In a relationship or marriage, getting along is more important than proving a point, or always doing what you like. 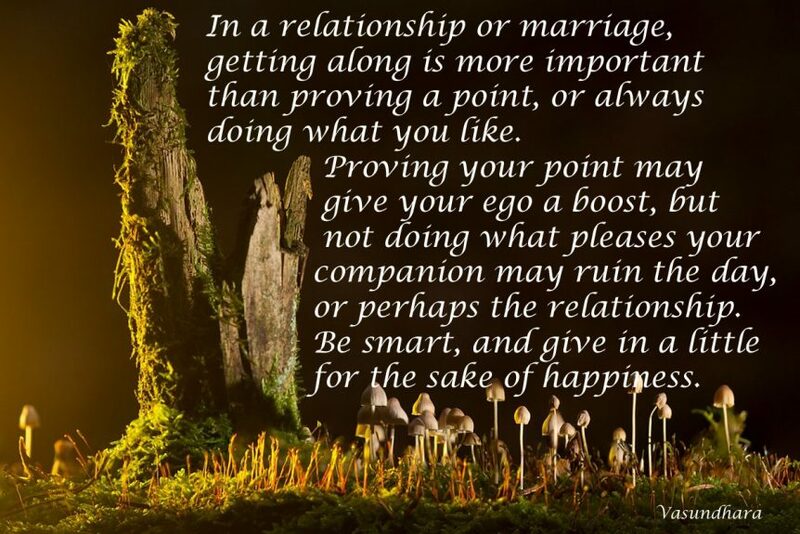 Proving your point may give your ego a boost, but not doing what pleases your companion may ruin the day, or perhaps the relationship. Be smart, and give in a little for the sake of happiness.